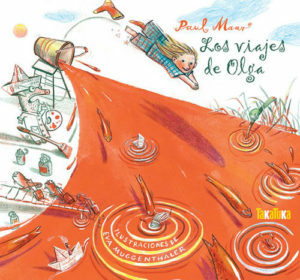 Every night, Paula travels in her sleep to the forest of the circular trees and to the country of the Coloured Circles. Since she’s different, she’s immediately captured by the place. Then, she falls and falls into a circle-hole until she arrives to the country of Many Angles, where everything is about edges and things that are different are not admitted. A wonderful illustrated book told in verses; it highlights tolerance and the courage to be different.